Sucessful Claim! Crazy Timeline! Thank You All! Congrats! I would apply for SSDI also. Thanks to God, this website, & a couple of local veterans I'm now collecting SSDI, AF Ret. & now 100% disability with the VA. It has been a long struggle the past 2 1/2 years waiting on the VA to rate my claim. I've had times when I wanted to scream @ the VA system for the snail pace. Why after answering the call to serve this country for 26 years I had to wait 2 1/2 years to get approval for benefits earned? I've had a total of 5 surgeries before the Air Force decided it was time to face a MEB. But now that the fight is over I can say the guerrilla is finally off my back. If I can past anything to my fellow veterans I would tell you to do alot of praying, stay in contact with the DVA or any organzation that has "Power of Attorney" over your claim, stay in good with your local VA Rep. & keep the faith with the VA even when It seems hopeless. Spoke with my VSO my retro has to pass the way of DFAS due to 26 years of military service. But I'm still humble & thankful! Congrats ButchC130! For me it was a 2 year battle! No retro yet, my AB8 letter states effective date 01 Feb, 2013, what gives? medically retire from the Air Force 01Jan 2011. Yay, woo hoo; logged into E-benefits & checked A8B & it now shows a combined evaluation of 100% - $3,073.00, Thank you Lord! Now looking for 25 months of retro. My range of motion for my back forward flexion is 5, normal range is 90, painful motion begins @ 5 also. Back surgery Dec 2001 & Nov 2010, Mar 2011 MRI shows recurrent herniated nucleus pulposus L5-S1 spinal stenosis and left L5-S1 intraspinal, extraduaral epidural fibrosis & scar tissue & disc protrusion. Select where forward flexion ends (normal end point is 90) x5. Select where objective evidence of painful motion begins) x5, nothing higher than a x10. Does the veteran have additional limitation in ROM of the thoracolumbar spine (back) x yes. Does the veteran have any functional loss and/or functional impairment of the thoracolumbar spine (back)x yes. Less movement than normal Weakened movement, Excess fatigability Incoordination, impaired ability to execute skilled movements smoothly, Pain on motion, Instability of Disturbance of locomotion, Interference with sitting, standing and/or weight-bearing. Does the veteran have guarding or muscle spasm of the thoracolumbar spine(back) x yes. Abnormal spinal contour, such as scoliosis, reversed lordosis, or abnormal kyphosis. Does the veteran have IVDS of the thoracolumbar spine/ x yes. Assistive Device: brace & walker: Frequency of use: regular Does the veteran’s thoracolumbar spine (back) condition impact on his or her ability to work? x yes My SSDI is for my SC injuries to my back, knees, hips & right ankle. Update, according to E-benefits my claim is still Pending Decision Approval as of 3 Jan 2013. I called 1-800-827-1000 according to the "VA rep" my claim was moved to Pending Notification as of 14 Jan & Complete as of 17 Jan, still there are no updates to E-benefits online! Update, my claim is back to Pending Decision Approval as of 3 Jan 2013. This claim has been in Pending Notification twice in the last 60 days! Tick Tock, waiting waiting! This claim was submitted 26 Aug 2010! Just checked Ebenefits my claim is now back down to gathering of evidence. This claim was in notification phase twice in the last month, what gives? Just checked ebenefits, my status is now "notification pending" as of 26 Nov 2012, today date. I checked the A8 letter, no change. Went to the VA Center downtown today, asked why would the VA not grant IU, when my SSDI is service connected for my back and knees only. According to Social Security Adminstration I became disabled the day of my 2nd back surgery due to spinal disorders. 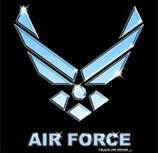 I was still on active duty at the time of my 2nd surgery, Oct 2010, I retired from the AF 31 Dec 2010. I can't understand why VA didn't grant IU? What is my next step? I don't understand the VA way of think I receive SSDI for my service connected disabilities (back & knees) Last week I called the DAV and was told that it looked like the VA didn't grant IU. But the DAV rep did state that this was a mistake due to the VA having a copy of the requested SSDI doc from Social Security Adminstration. Per my DAV rep more likely then not the VA QA would correct the mistake if not the DAV rep would. Last week according to Ebenefits my status showed notification decision pending now my status is decision approval pending, I'm hoping for the best! I’m on pins & needles waiting to see my new VA rating. I applied for SSDI for my service connected injuries in April 2011 & was approved Sept. 2011. Here’s a statement from the Dr. for my C&P exam in VA hospital, Pensacola FL. wrote for my progress report. Right Ankle Does the Veteran’s ankle condition impact his or her ability to work? Yes, Veterans is unable to walk long distance due to right ankle condition. Assistive device; right ankle brace for support. Back (Thoracolumbar Spine) Condition, Veteran has been diagnosed with thoracolumbar spine back condition; yes Diagnosis #1 Lumbar DDD, L5-S1/Spinal Stenosis ICD code 722.6 Diagnosis #2 Radiculopathy, Lower Extremities ICD CODE 729.2 Back surgery Dec 2001 & Nov 2010, Mar 2011 MRI shows recurrent herniated nucleus pulposus L5-S1 spinal stenosis and left L5-S1 intraspinal, extraduaral epidural fibrosis & scar tissue & disc protrusion. Select where forward flexion ends (normal end point is 90) x5. Select where objective evidence of painful motion begins) x5, nothing higher than a x10. Does the veteran have additional limitation in ROM of the thoracolumbar spine (back) x yes. Does the veteran have any functional loss and/or functional impairment of the thoracolumbar spine (back)x yes. Less movement than normal Weakened movement, Excess fatigability Incoordination, impaired ability to execute skilled movements smoothly, Pain on motion, Instability of Disturbance of locomotion, Interference with sitting, standing and/or weight-bearing. Does the veteran have guarding or muscle spasm of the thoracolumbar spine(back) x yes. Abnormal spinal contour, such as scoliosis, reversed lordosis, or abnormal kyphosis. Does the veteran have IVDS of the thoracolumbar spine/ x yes. Assistive Device: brace & walker: Frequency of use: regular Does the veteran’s thoracolumbar spine (back) condition impact on his or her ability to work? x yes Hip & Thigh Condition Does the veteran report that flare-ups impact the function of the hip and/or thigh? X yes. Select where flexion ends (normal endpoint is 125 degrees) x15. Select where objective evidence of painful motion begins) x15. Is adduction limited such that the veteran cannot cross legs) x yes. Is rotation limited such that the veteran cannot toe-out more than 15 degrees? X yes. Does the veteran have additional limitation in ROM of the hip & thigh following repetitive-use testing) x yes. Does the veteran have any functional loss and/or functional impairment of the hip & thigh? X yes Unable to sit for long prolonged period of time due to back, knee and hip condition. Less movement than normal - Both, Weakened movement - Both, Excess fatigability - Both, Incoordination, impaired ability to execute skilled movements smoothly - Both, Pain on motion - Both, Instability of station - Both, Disturbance of locomotion - Both, Interference with sitting, standing and or weight-bearing - Both, Does the veteran have ankylosis of either hip joint? X yes. Assistive Device: brace & walker: Frequency of use: regular, Left knee brace for support due to occasional ‘giving way of left knee, walker for back condition and radiculopathy and knee condition, right ankle brace for support. Have imaging studies of the hip been performed and are the results available? yes, Is degenerative or traumatic arthritis documented? yes - Both, Does the veteran’s hip & thigh condition impact on his or her ability to work? x yes Knee and lower leg conditions Diagnosis #1 Left Knee PFS ICD code 719.46, Diagnosis #2 Left Knee OA ICD code 715.90, Diagnosis #3 Right Knee DJD ICD code 715.90 Right knee medial meniscus tear, Right Knee - Select where flexion ends (normal endpoint is 140 degree)x 95, Select where painful motion begins) 95, Unable to fully extend, extension ends x25, Left Knee - Select where flexion ends (normal endpoint is 140 degree)x 110, Select where painful motion begins) 100, Unable to fully extend, extension ends x25, Is the veteran able to perform repetitive-use testing with 3 repetitions? No, provide reason Limited due to back and knee pain, Does the veteran have additional limitation in ROM of the knee and lower leg following repetitive-use testing) x yes, Does the veteran have any functional loss and/or functional impairment of the knee and lower leg? yes If the veteran has functional loss, functional impairment or additional limitation of ROM of the knee and lower leg after repetitive use, indicate the contributing factors of disability below (check all that apply and indicate side affected) Less movement than normal - Both, Weakened movement - Both, Excess fatigability - Both, Incoordination, impaired ability to execute skilled movements smoothly -Both, Pain on motion - Both, Instability of station - Both, Assistive Device: brace & walker: Frequency of use: regular, Disturbance of locomotion - Both, Interference with sitting, standing and or weight-bearing - Both, Does the veteran’s knee and /or lower leg condition impact on his or her ability to work? x yes, Unable to sit for prolong period of time due to back knee and hip condition.